Below you will find the images that were taken Tuesday night for this year's senior softball banners. I will need the image number you want featured on your banner. I will also need your name as you want it spelled on the banner and your jersey number (in the event that it's not readable in the photo you chose). Your choices can be emailed to christyBphotography@comcast.net or text to 816-935-4961. Please submit information no later than Wednesday, September 22nd. I will not be able to begin the banners until I have this information. Info. turned in after 9/22/18 will delay the arrival of the final banners. Parents that would like to purchase prints of any of the images below will find pricing & ordering information below the images. If you would like to place a photo order of your child, you may print out the order form and mail a check to the address on the form OR email us at christyBphotography@comcast.net with the package you would like and we can send you an invoice where you can pay securely online. Orders will be accepted for one week through Friday, August 24th so the prints can be included with the rest of the Holden Softball sports orders. PLEASE NOTE: The images shown below are original, unedited, uncropped photos. They are taken farther away to allow for banner text. When selecting your image, disregard hair fly aways, etc. as they will be edited in the final banner version. Traditional sports package are also available for purchase using an individual photo from above. For the team photo, the image of the complete team taken on 8/16 at the full team photo day will be used. Image selection for the senior banner is due Wednesday, August 22, 2018. Individual print orders will be accepted through Friday, August 24, 2018. 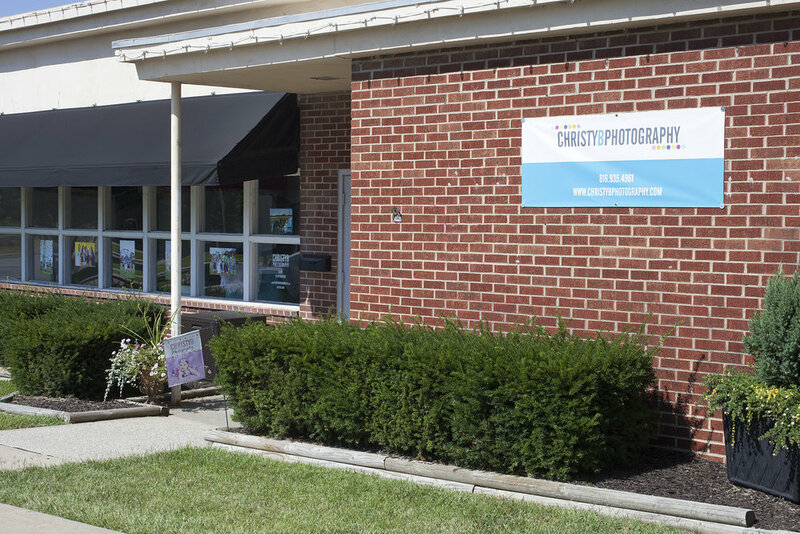 Christy B Photography, 125 Veterans Parkway, Pleasant Hill, MO 64080. 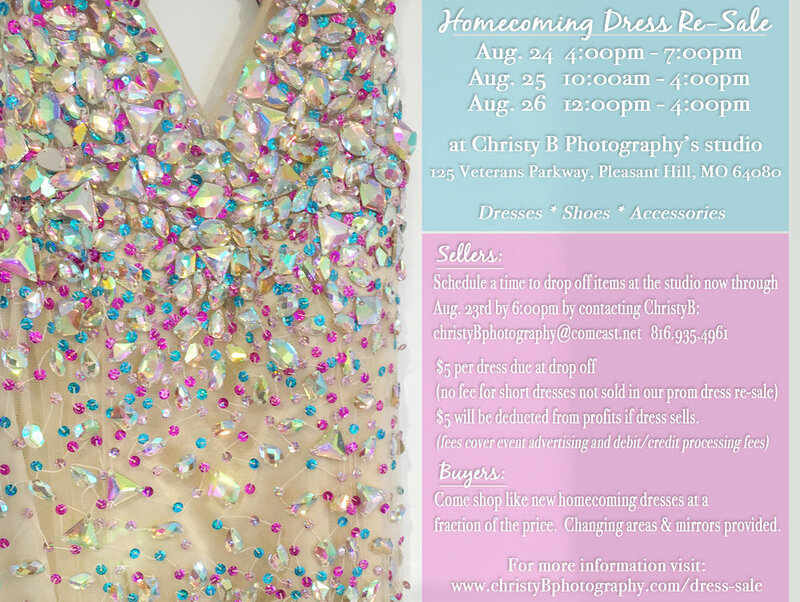 Christy B Photography will be hosting a homecoming dress sale on August 24-26, 2018 featuring gently worn, like new homecoming dresses, shoes and accessories. Buyers from all surrounding schools are welcome to browse and try-on sale items. Cash, debit or credit accepted. No checks, please. No holds, refunds or exchanges. Sale will be held at Christy B Photography’s studio at 125 Veterans Parkway, Pleasant Hill. Christy B Photography is once again offering custom football jerseys and t-shirts just for this year’s senior girls (being a senior has it’s perks!). We offered these jerseys and shirts a couple of years ago and they were a hit. So we’re bringing them back this year with a brand new design for 2019 seniors. New this year, we are offering our custom shirts to all surrounding schools, as well. These shirts are great to wear to school on game day and are perfectly sparkly under the lights at the game. Best of all, the only ones lucky enough to have them are 2019 senior girls! I hope I've provided the answer to any and all questions you might have. But, if there is anything else I can answer for you, please don't hesitate to CONTACT ME.